Here’s the thing...pirates can be a bit unforgiving. Once someone becomes a full-blown pirate, he’s quick to punish his enemies and make room on his comfy ship for those loyal to his cause. Our recommendation? 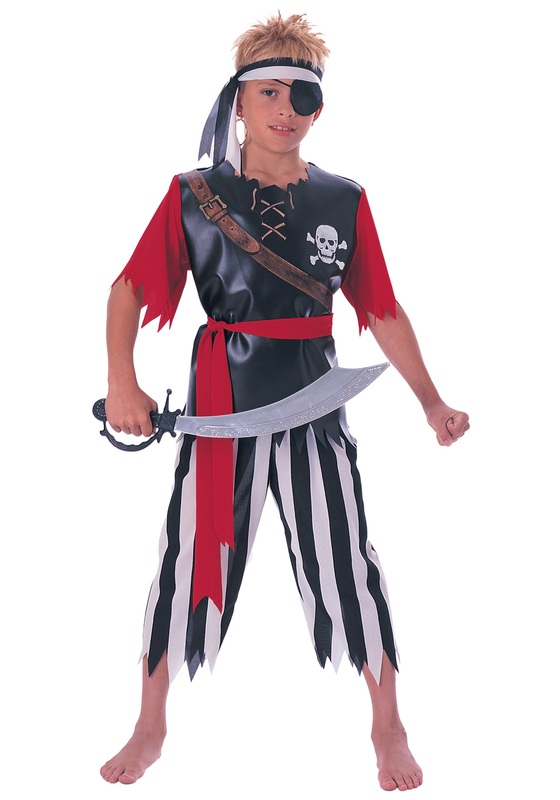 Do yourself a favor and give your kiddo a chance to become the greatest pirate of the high seas in this Child Pirate King Costume. He’s likely to remember your generosity and support, which means you likely won’t have to walk the plank any time soon. Phew! And even though we know your little guy doesn’t seem the type to hold grudges (or really, a parrot, he’s not much of a bird person) the high seas are a powerful force, capable of changing even the kindest of third graders into absolute scallywags. We have seen it happen on more than one occasion. But here’s the thing, once a little one has decided “the pirate’s life for me” there is very little you can do to dissuade him. The more you try to anchor him to dry land, the more the salty sea will call to him. Thus, it’s best to bolster his confidence and this pirate uniform will do just that! It has the classic black and white jagged pants and the shirt emblazoned with the skull and crossbones symbol. The headband and waist sash are included, but you’ll need to pick up his sword and eye patch separately (the thoughtfulness will be duly noted). Pretty soon, he'll be ruling the waves while collecting every treasure chest he comes across. And who knows, for your unconditional love and support, he may just bring some of that treasure back to you on regular visits home.